Here’s the thing anyone who knows me well (particularly my co-workers) can tell you: I love soup, but I refuse to acknowledge it as a real, standalone meal. Soup is delicious, but it is a PRELUDE to a meal. A pre-meal. So what happens is that I see all these amazing soup recipes on Pinterest and pin the heck out of them, then they just sit there because I don’t want to go through the trouble of making both a soup and a real entree. And a dessert, because let’s face it, dessert is an important part of any home-cooked meal. This soup, however, was surprisingly hearty and stayed with me for quite a while. I think I had other food with it initially, but I ate the leftovers by themselves and they made several great meals. The cheese added a great flavor (and saltiness, because sometimes vegetable soups can be very bland), but the cauliflower itself was the star. 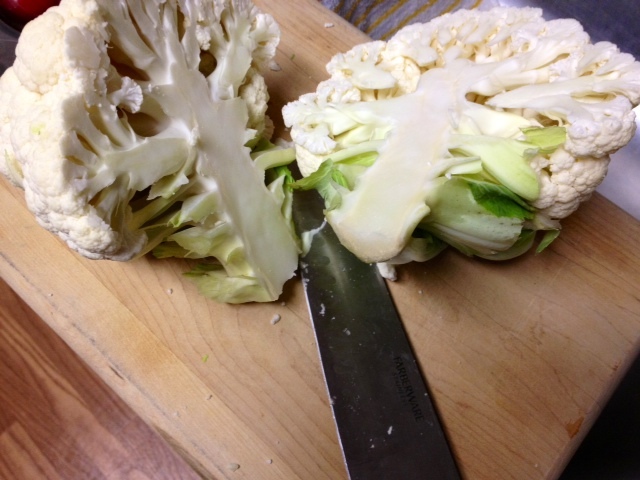 Through trial and error I’ve found it’s easiest to just cut the entire head of cauliflower in half with a giant knife, then cut it into smaller pieces from there (instead of trying to cut chunks out of the whole thing). 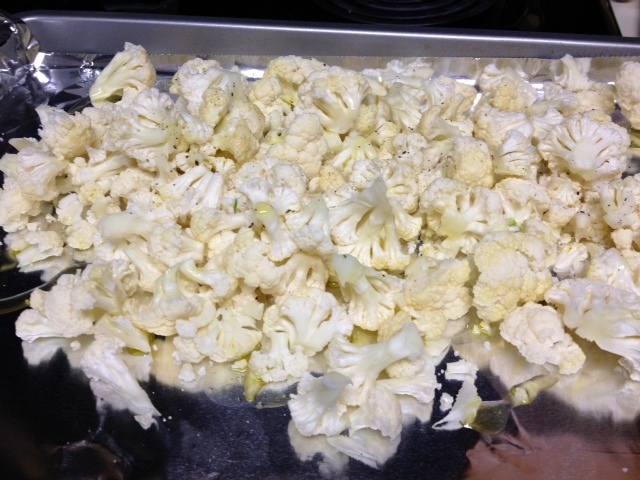 Disassemble your head of cauliflower into florets and spread out on a baking sheet covered in tin foil. 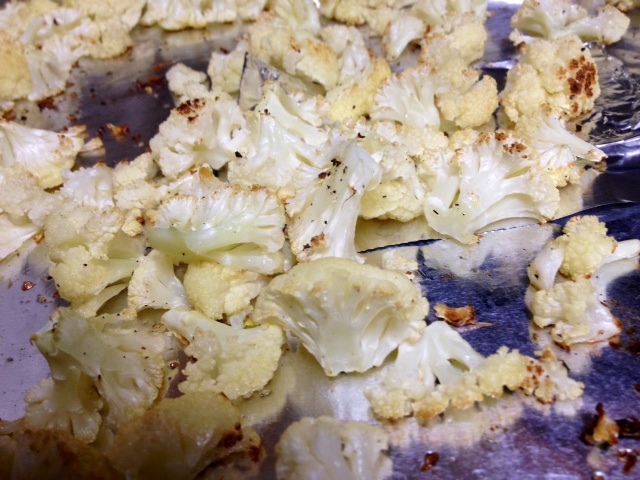 Toss with a couple tablespoons of olive oil and some salt and pepper, then roast for about 20 minutes. 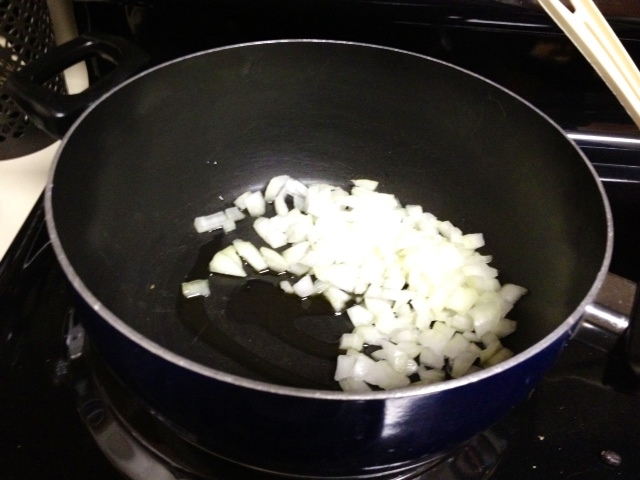 Dice the onion and add to a large saucepan with a tablespoon of olive oil. Saute until translucent—this took about five minutes. Then add the minced garlic and cook for another 30 seconds or so. 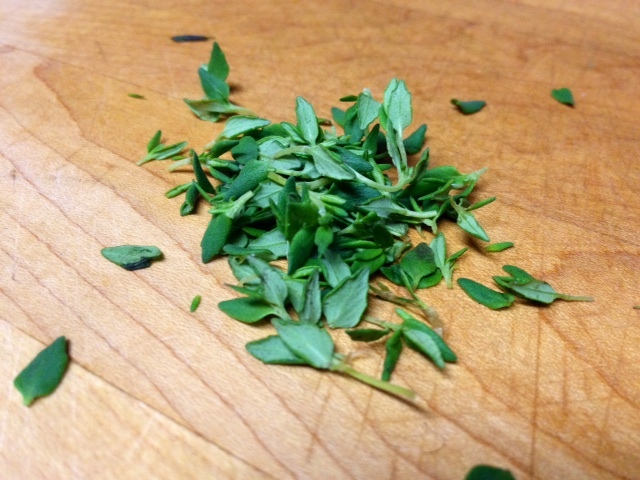 If you have fresh thyme, chop some up. You can use dried too, but fresh definitely tastes better. Add the chicken stock to the pan to deglaze. Then add the thyme and roasted cauliflower and bring to a boil (like a 7 or so on your stove, maybe 8), then immediately bring back down to a simmer. It’s important not to boil the soup for long or you scald it. 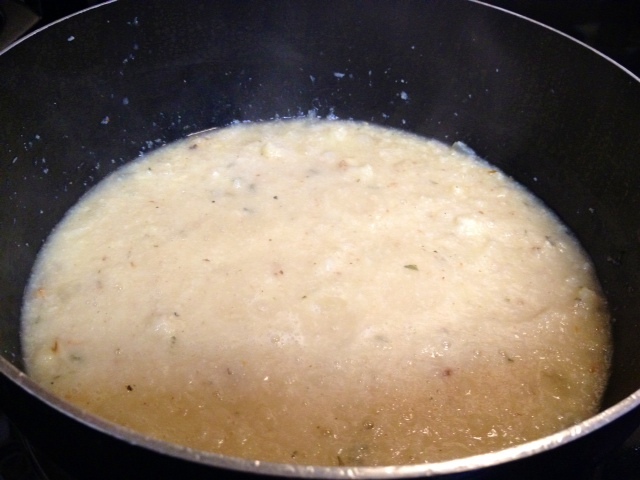 Cover and simmer for about 20 minutes, until the cauliflower is softened. 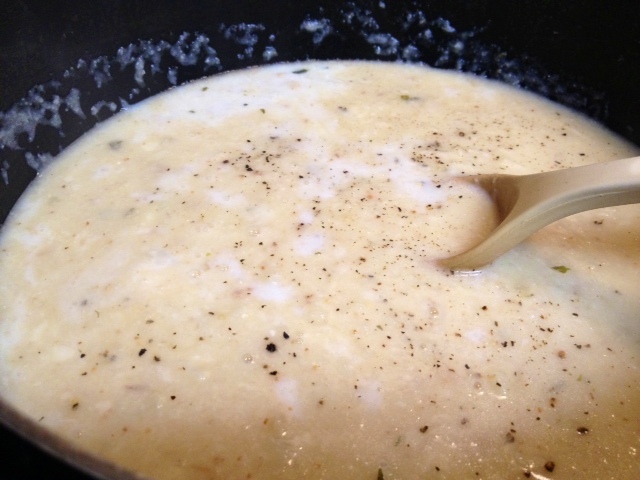 With an immersion blender (if you have it), blend the soup until it reaches whatever texture you want. For me, that’s a little chunkier, but some people like very smooth. If you don’t have an immersion blender, just transfer batches over to a regular blender, but be careful because it splashes and is HOT! 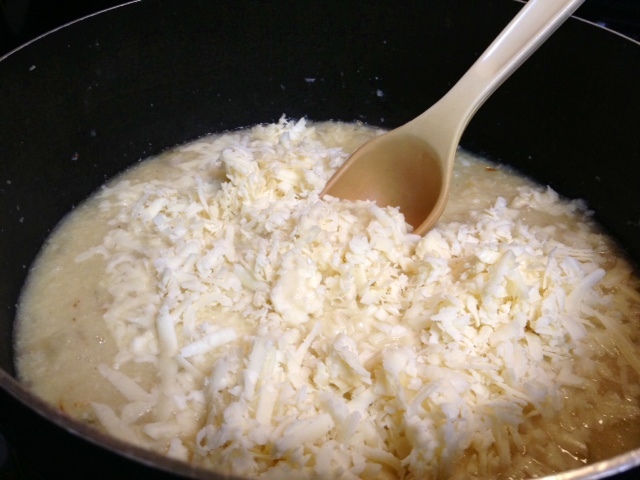 Add the cheese to the soup and let it melt, stirring until it’s combined. Definitely don’t bring it to a boil again (breaks down the cheese compounds). Finally, add the milk or cream and salt and pepper to taste. 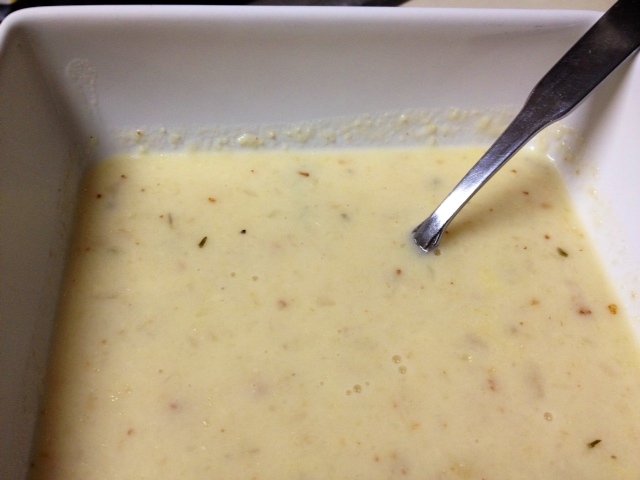 I used skim milk, and a combination of regular black pepper and white pepper, which has a milder, nuttier flavor. Serve hot, preferably with a delicious bread or some kind of entree as well. 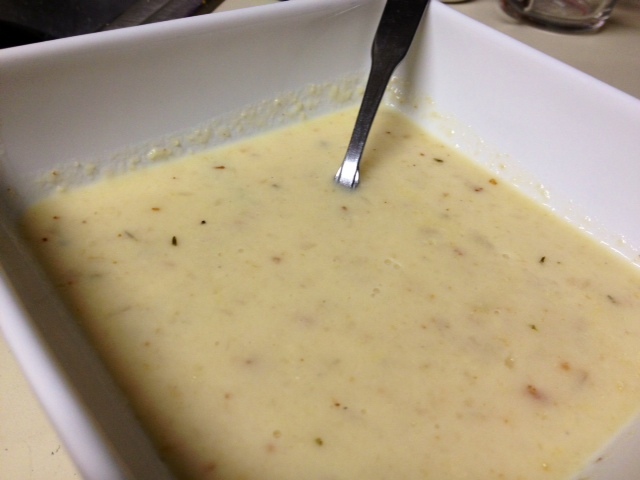 But I was pleasantly surprised—this soup really filled me up and I had it as a standalone meal several times throughout the week. 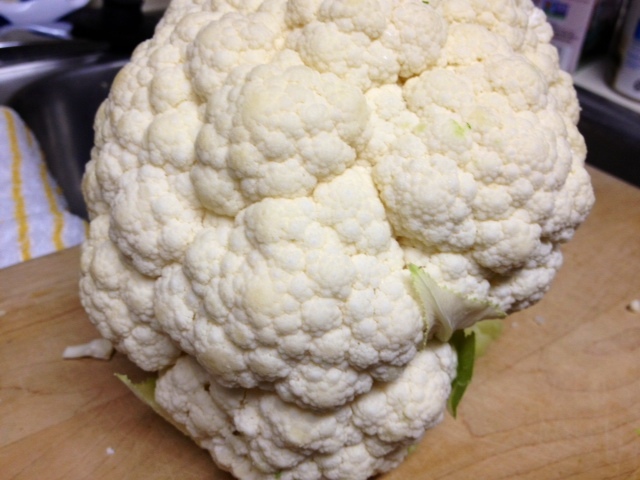 Chop up the head of cauliflower & toss the cauliflower florets in the oil with the salt and pepper. Arrange them in a single layer on a large baking sheet (I lined it with tin foil first). 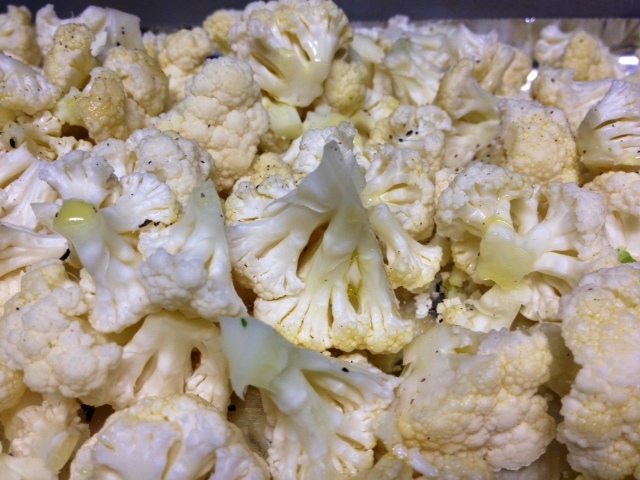 Roast the cauliflower in a preheated 400 F oven until lightly golden brown, about 20-30 minutes. 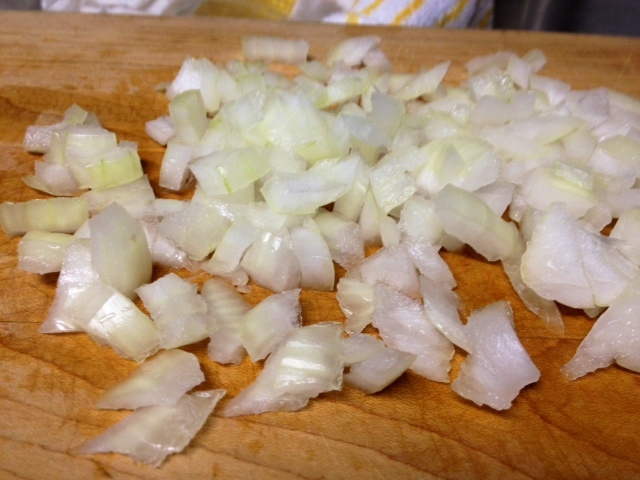 In a large sauce pan, heat the oil over medium heat, then add the onion and saute until tender, about 3-5 minutes. Add the garlic and thyme, saute until fragrant (only takes about a minute). 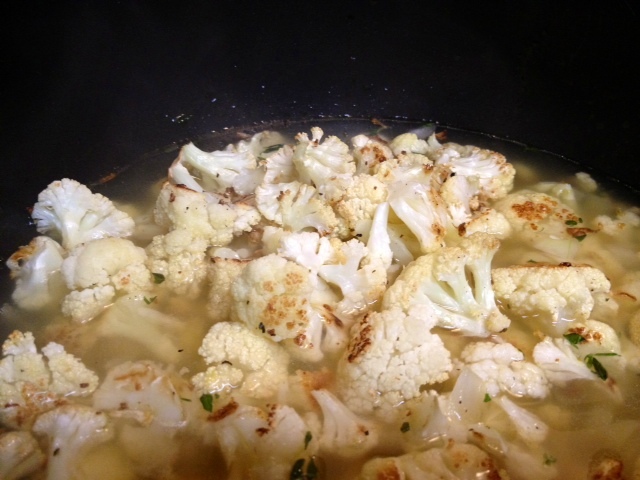 Add the broth, deglaze the pan, and add the roasted cauliflower. Bring the soup to a boil, reduce the heat (this is important, you don’t want to keep it at a boil), and simmer covered for 20 minutes. Once the cauliflower is softened and the soup has simmered long enough, puree the soup until it reaches your desired consistency. This is easiest with an immersion blender, but you can transfer batches (carefully!) to a regular blender if that’s all you have. 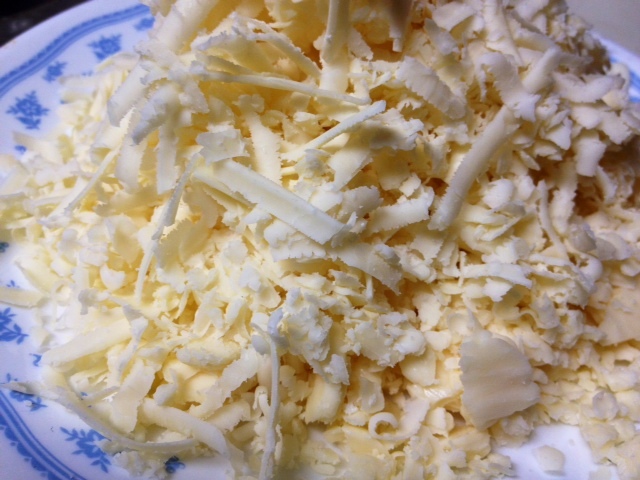 Mix in the cheese, stir it in and let it melt without bringing it to boil again. Finally, mix in the milk, season with salt and pepper, and remove from heat.